Sergio Vacca, a London based musician, was born in Molfetta (Ba), Italy. He began studying the mandolin at the Conservatoire of Bari in 2000. He initially studied with Maestro Maria Cleofe Miotti from 2000 to 2001, and then with Maestro Mauro Squillante until his final degree in 2009, when he graduated from the conservatoire with a mark of 9/10. During his Academy years he attended many masterclasses, of which the most prestigious is ‘The International Music Summer Masterclass in Baroque Music’, held in Urbino (PU), and organised by the Italian Foundation for Early Music (FIMA), which he attended for three years. Sergio has collaborated and made many recordings with the Conservatoire of Bari Plectrum Orchestra, the regional Symphony Orchestra of Puglia, the Accademia Mandolinistica Napoletana, and the ‘Associazione ensemble Mandolinistico Estense’ as well as the Accademia Mandolinistica Pugliese, of which he is a co-founder. Since its inception in 2005, the purpose of the Accademia Mandolinistica Pugliese has been to discover, collect, preserve and record traditional repertoire for the mandolin and similar instruments. To this end they have worked with the Italian record label ‘Digressione Music’, and recorded many discs of unpublished music. From 2011 to 2014 Sergio worked both as a music teacher and as Chairman of the music therapy school ‘Stratos', in Bari. In 2013 he obtained a masters degree in ‘Music Therapy in Neurology’ from the University of Ferrara. 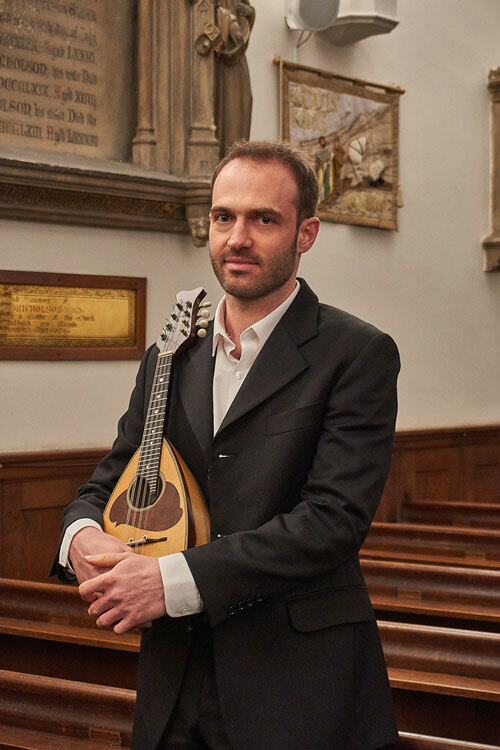 From 2014 he began touring as a mandola player with the Hathor Plectrum Quartet, bringing traditional Italian instruments and music to many different countries around the world. To date, the quartet has completed some 25 international tours. Alongside his classical music career, Sergio studied jazz music at conservatoire for two years, and has played the plectrum banjo in many mainstream jazz bands. His passion for the mandolin and plucked stringed instruments also recently led him to explore Irish and Old-time music with the tenor banjo and the 5string banjo. 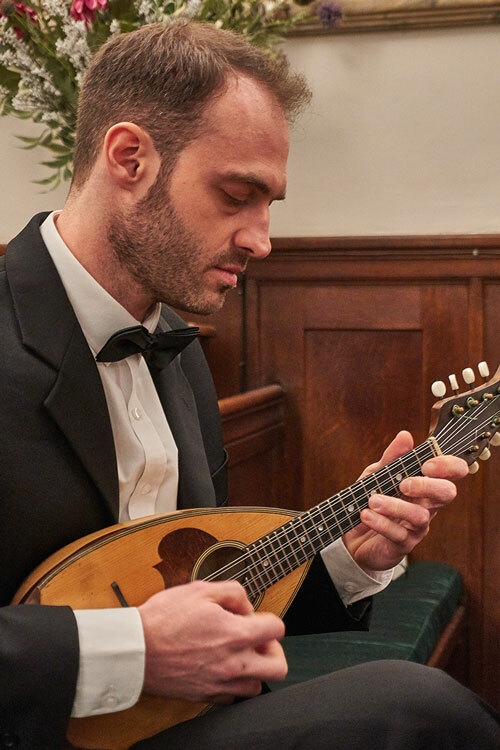 He has nearly ten years experience as a mandolin teacher for both children and adults, and since arriving in London in February 2017, he has collaborated with London Mandolin Ensemble both as a teacher and as a member of the orchestra.